St. Elizabeth Church was first established in June 1934 by Bishop Maurice F. McAuliffe as a mission under the care of St. Vincent de Paul Parish in East Haven. On August 18 of that year, the first mission Mass was celebrated in temporary quarters in a dance hall on Bradley Street. In December 1935, a mission chapel at Short Beach was dedicated to St. Elizabeth. Then in 1947, St. Elizabeth passed to the care of the newly created St. Clare Parish in East Haven. As the Short Beach area continued to grow in the years that followed, St. Elizabeth was officially established as its own parish on September 22, 1966. Fr. John Tierney was appointed as the first pastor by Archbishop Henry O'Brien. 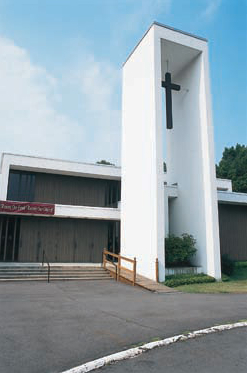 Soon after, a splendid new church on Burban Drive replaced the old Short Beach Chapel and was dedicated on December 7, 1969, by Archbishop John Whealon.